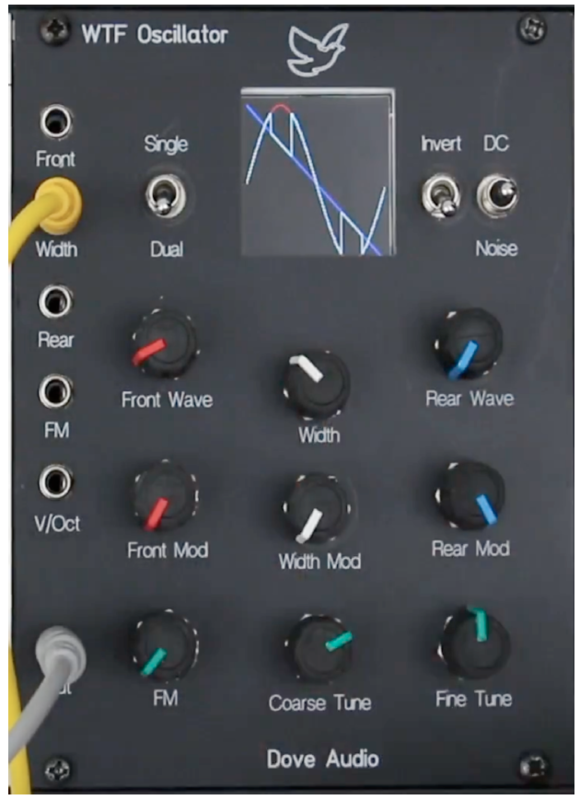 Maddox-designed oscillator is "a completely new concept in waveform morphing"
British synth newcomers Dove Audio are today announcing what they describe as "a completely new concept in waveform morphing" for its new oscillator module, the WTF Oscillator. 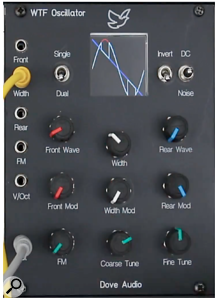 Designed by Paula Maddox, formerly of Modal Electronics, the oscillator is an interesting beast employing a so-called Window Transfer Function and is available for both Eurorack and MU (MOTM and dotcom) formats. Although the result isn’t a million miles from Pulse Width Modulation, The Window Transform Function (WTF) is a different way of morphing between two waveforms, says Maddox, creating a hybrid mix of two waveforms. The concept is relatively simple. Two synchronous waveforms are used, 'front' and 'rear'. A 'window' can be opened in the front waveform allowing a portion of the rear waveform to be inserted. It is also possible to have dual, windowed waveforms, as demonstrated in the video below. What’s more, Front wave, Rear wave and Window width all have full independent control via CV, and the module has a tunable noise feature. Hear more audio examples of the prototype module below. At the time of writing, you could still pre-order the WTF Oscillator for a pledge of £325. For more information and to support the Kickstarter campaign, follow the below link.